Cape Town's very own riviera, just a few minutes drive from the city centre. 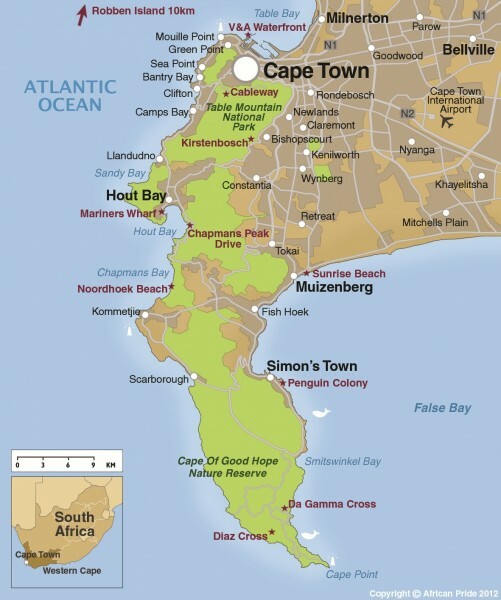 ​Stretching from Mouille Point in the north to Hout Bay along the Atlantic coast, via resorts such as Bantry Bay, Camps Bay and Clifton, the Cape Coast provides a fantastic alternative to staying in the city centre. Clifton, just up the road from Camps Bay, is an extremely popular hangout for locals and international jet setters - you’re here to be seen and to share space with the latest designer costumes and sunglasses. Clifton has four beaches called 1st, 2nd, 3rd and 4th beach and has blue flag status, not least because of the turquoise water and white sands. 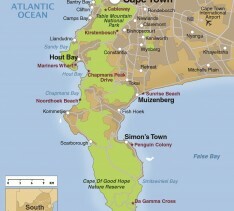 These beaches are Cape Town’s premier beaches, divided by huge granite boulders. Camps Bay is a long, sandy beach with palm trees and a fantastic promenade lined with trendy restaurants, cafes and cocktail bars. Here Cape Town's fashionable set mingle with visitors to the city against one of the most beautiful backdrops of Lion’s Head and the 12 Apostles. The beach is very popular for sundowners and in hot weather it’s a beach paradise. From Camps Bay you can walk to Glen Beach - a small beach set in a little enclave and great for surfing - and Maiden’s Cove, which is very much a family beach just in front of the Glen Country Club. Bakoven Beach gets a mention because of its natural beauty - big boulders, white sands and a gorgeous setting. Llandudno, set in an exclusive neighbourhood, is one of the most photogenic beaches in Cape Town and definitely one of the most beautiful. Do bear in mind that the water here tends to be very cold due to the influence of the Antarctic currents.